Nowadays, majority of discussion, both on important and trivial subject take place on internet and usually through e-mail. Everyone recognizes great advantages of e-mail; however everything in this world comes with its cons. Many people and companies realize that sending messages is an ideal and cheap way of advertisement and as a result you receive tons of unnecessary information through your email that makes it harder to control every single message. As a result you might miss something important. If huge part of your business stuff or everyday life depends on checking email regularly and responding in a timely manner then you should definitely learn how to tame you email. 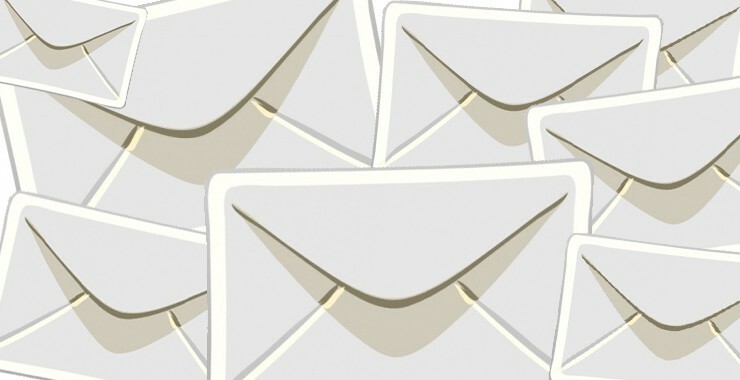 In this article we will cover top 10 ways that will help you tame your email and manage your messages better. Before moving on to certain tips and tricks, there is one important thing that all of you should do and that is to understand what you actually need your email for. The best way to do that is to write down the list of the things that you use email for. Is it a way to communicate with your family and friends, method to manage educational document or system to control your business stuff, receiving important information, sharing it with co-workers, or finding new clients? Whatever it is put everything on the list and you will have a better understanding of what role email plays in your everyday life. 2. Deal With It Right Away! When it comes to taming the beast called email it is crucial to keep the number of unread messages as low as possible as all times. How do you do that?! It is simple! All you have to do is to get rid of a bad habit that most of us have — delaying responses. Usually we simply scan through the inbox and open few messages and close it instantly with an idea that we will deal with them later. Okay, let us be honest, how much time does answering one message take?About two minutes, right? So, why don’t you just freeze for a minute when you encounter that you have received a new mail and act on it right away. Reply to it or if deep in your heart you realize that you will never actually respond to it then just press that Delete button. You will be amazed with the results you will achieve by getting rid of that one single habit; the clutter will be reduced dramatically, think of 80%! Nowadays, all these technological advancements make our lives much more comfortable and easier. Once you get rid of the bad habit we mentioned above you should get used to the good one. Use the innovations for your benefit. Use your tablet or smartphone to make the most out of the free time you have throughout the day, for example, during those long train rides, or while standing in a huge line for coffee, lunch, bank, etc. Not only will you not lose precious time later, but you will also kill the time when you are bored. 4. Multiple emails — Plus or Trouble? How many emails should a person have? One? That is by far not the right answer… Well, not if you are not a spam-lover. Two accounts is already better, but the golden middle in this case is 3 (private address, public email and “Spam Consumer”). The private email address should only be used for connecting with important people in your life, friends, family and basically everyone whom you can truly trust. As for the public email, you can share it with business partners, acquaintances and also use for newsletter or registrations on important websites. The third email will be the one where most of your spam will go. You should give out this address to people and organizations that you are not planning to have a long term relationship with. Most importantly to the websites that ask for free registration. You can just open this email to confirm your registration and you surely will not have to worry about tons of unread messages as all important ones will be distributed among first 2 accounts. Probably every email client has setting options that you can moderate based on your needs. If you learn to use them properly you will notice how much more organized your inbox will become. For example, if you are a Gmail user you can lean upon its software that can sort your mail into folders. Also, it has another great feature, Rapportive, that provides the information on the sender for you. It is easier to decide whether the message is worth spending time on or not when you know who exactly the sender is. When registering on different websites, we might not even become aware that we are subscribing for something that we absolutely do not need. But after some while, it is hard not to notice that your inbox is overflowing with unnecessary news. So, once you encounter such message, follow that link and unsubscribe yourself from all that spam! In case you have a lot of pointless subscriptions use an application that will unsubscribe you from every newsletter at once. If email is a major part of your work then writing more or less similar messages every day will be familiar subject for you. If you notice that you are receiving one and the same inquiry over and over again then it is time to create a draft or template and simply modify it the next time. Using different colors, labeling or flagging is a great way to organize your inbox. It is often that we have to look for previous mail in order to answer the new one. When you know where to look for the message, it all makes your life easier. If you have time to respond to the message, but it is not the “best” time to do it in terms of getting the right attention then create a draft and schedule the sending for later. At last, ask yourself an important question: Do you really need to send that message? For example why don’t you try using a project management software while working with your team rather than relying on email? It will be more convenient for everyone! Some people do not even realize how important it is to tame email. Recent research by Atos Origin has shown that 40% of working week of an average employee is spent on dealing with inbox and as a result it adds no value to business itself and then the question is born “what is the use”. Taking above tips into consideration can make huge changes in how much time you spend on browsing though your mail. Start right now!